Both leaders will also discuss their respective national developmental priorities and bilateral matters. The informal summit is in keeping with the tradition of regular consultations between India and Russia. New Delhi: Less than a month after he visited China for informal talks with the Chinese premier, Prime Minister Narendra Modi will visit Russia on May 21 for an informal summit with Russian President Valdimir Putin. The summit, which will be held at the summer beach resort of Sochi, is at the invitation of President Putin. This will be an important occasion for the two leaders to exchange views on international matters in a broad and long-term perspective with the objective of further strengthening our special and privileged strategic partnership, said a statement from the external affairs ministry. 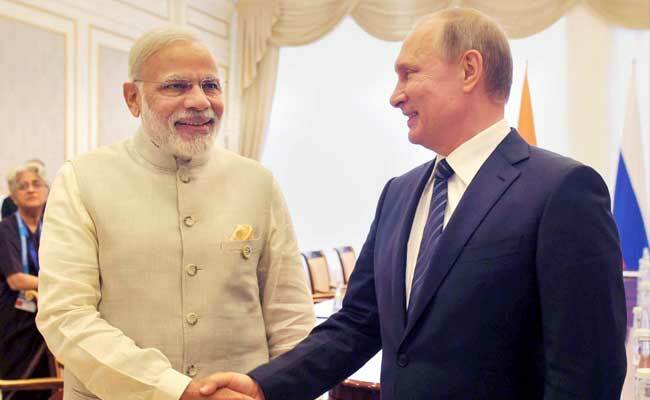 The informal summit is in keeping with the tradition of regular consultations between India and Russia at the highest levels, the statement said. Last week, National Security Adviser (NSA) Ajit Doval and Foreign Secretary Vijay Gokhale had visited Russia. During the visit that was part of the regular NSA-level between the two countries, had also held talks with the Russian foreign minister. "PM (Modi) believes that informal talks are a useful mechanism for direct conversation, away from the formalities of a structured summit and protocol. Informal chats on a regular basis are important in the changing international scenario," sources told NDTV. With no set agenda for the visit, talks could focus on international issues involving Iran and North Korea, according to sources. Last month, PM Modi had visited the Chinese city of Wuhan for two days and held informal talks with Chinese President Xi Jinping. There were six rounds of meetings both at the level of bilateral delegations and one-on-one meetings where the two leaders were accompanied by only their interpreters. The visit was seen as an effort try and fix a relationship that reached its lowest ebb last year during the 73-day military standoff in Doklam. The informal summits with China and Russia is seen as a careful re-balancing act at a time India finds itself at variance with the United States on several international issues like Iran, Palestine and trade visas. The outreach comes against the backdrop of Mr Xi and Mr Putin retaining their top jobs.